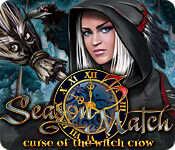 Season Match: Curse of the Witch Crow is rated 4.2 out of 5 by 27. Rated 5 out of 5 by compcrzy from Very addicting! I absolutely am hooked on this game! I played all 180 levels to the end, then it starts fresh again from the beginning. I love that! There is just enough of a challenge that you need to work at it, but it's so satisfying to complete a level. Not too difficult to master. Just my speed. 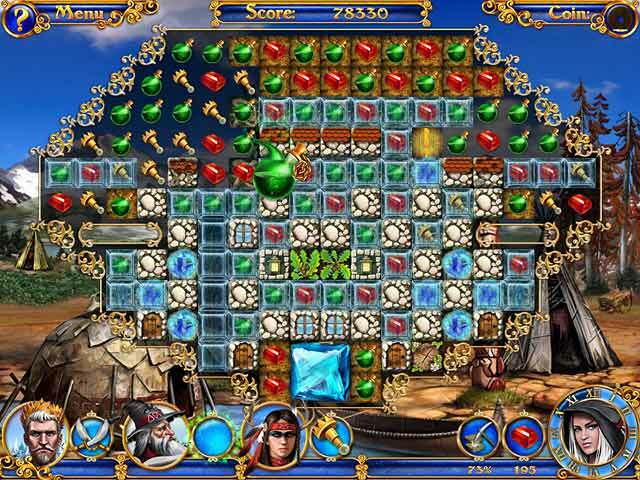 Rated 5 out of 5 by grandmagin from FUN I've played this so many times along with the other 2. Been waiting a long time for the next one in this series. Any word when that might be coming out??? Rated 5 out of 5 by Jem_Jerrica_Guy from love happy endings To a point it is mindless clicking and not very challenging, but the story is great for a Match 3 and only hopes for a Season Match 4. Rated 5 out of 5 by panicbear from Compulsively playable I frankly expected this to be another generic match 3 game like Bejeweled, so I was pleasantly surprised that after a bit of a slow start, it seems that a lot of work went into this game. There are numerous nicely designed characters and backdrops, various low-key puzzles thrown in to alternate with the match-3 boards, and many different types of power-ups to keep the match-3 possibilities interesting. The story actually seems overly elaborate to me, but it's hard to complain that you get more than you expected out of a game. It's not particularly challenging, though it's more difficult once you try to beat the timed Arcade mode levels. You get tons of levels, with a Story mode plus a lot of Arcade levels too, and it's very playable-- every time you click to make jewels vanish, the way they disappear and the satisfying noises remind me of the compulsive glee of popping bubble wrap. I just called it up intending to play a level or two while I waited for a download to finish, and ended up playing 15 levels and enjoying them all. Rated 5 out of 5 by denniann2 from an excellent match 3 game this game has you freeing the different characters-one for each month- from tarot cards they are trapped in. the witch crow has imprisoned them so she can control everything. i played on casual and untimed. after you play a while you unlock the arcade game. you have 160+ levels to play to free all the the people in the cards. none of the levels are too hard. 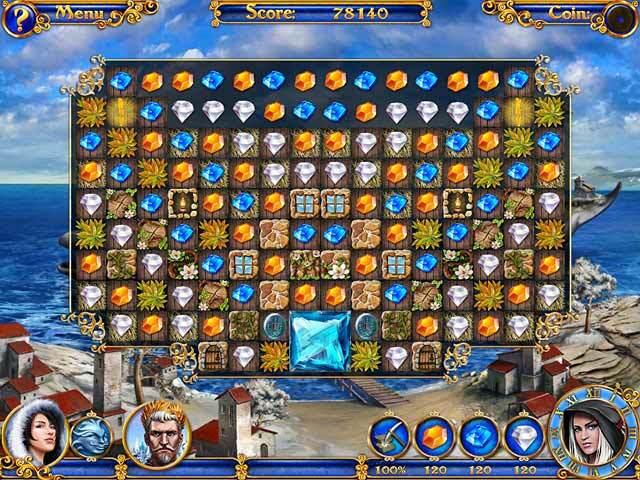 there are different aspects to the levels for each month and that is why so many of them. i don't know about sound. it was on a very low level so i can't really judge it. the arcade level is about playing games for each month but you have to be real fast to unlock the castle for each month. needless to say i wasn't. Rated 5 out of 5 by LOKILUXS from DIFFERENT MATCH 3 GAME I LIKED THIS GAME AND WISH THAT THEY WOULD DO ANOTHER THAT WAS A LITTLE MORE INTRICATE. Rated 5 out of 5 by fredandethel from Truly an exceptional game I've always found collapse block games, rather than swap or chain match, pretty boring, but had to buy this one. The artwork and animation are just lovely, in the minigames as well as the main levels, and the bonus power ups are fun and original. The fairytale storyline is also a plus if you feel like a bit of escapism. Not a challenging game, but with winter coming on, and a persistent virus depressing me, it's a real tonic! Having now tried Season Match 1 and 2 I still prefer Curse of The Witch Crow. 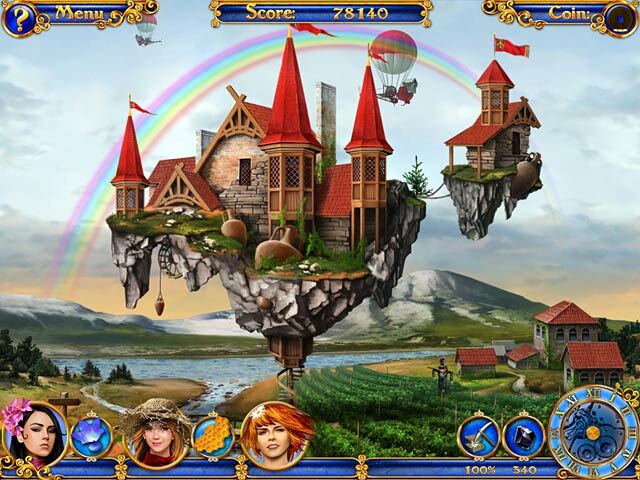 Enter a magical fairy-tale world and overcome the evil Crow Witch! Help her captives escape using your Match 3 talents!